We are a community of travelers. We have traveled extensively and we know how important it is to have the right information and a logical structure that makes searching for this information easy. Enjoy, and remember that the locals write our articles so that you can enjoy your stay as much as possible and experience colors and tastes that stay hidden to most other tourists. Inspiring Italy! Famous Italian food, design, Italian way of living, but also an enchanting land that no matter how many times you visit it seems to remain undiscovered and enveloped in a moat of long and chequered history that gave birth to so many beautiful towns and cities. 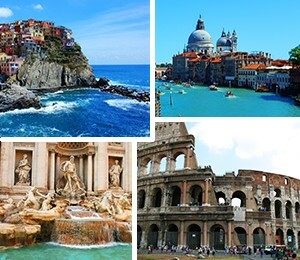 The main tourist attractions are certainly the breathtaking cities of Rome, Venice, Milan, Florence and Napoli, however Italy also offers a plethora of less well-known places that still seem to manage to impress visitors inasmuch as on their way back home they already start planning another holyday to Italy. Postcard perfect Portugal - Portugal is a country in southern Europe and together with Spain it divides the Iberian Peninsula. This country of a long history offers to tourists sights from the Iron age, the Roman Empire, more modern age of Portuguese expansion, colonization with discoveries and of course modern cities such as Lisbon and Porto. Its long coast on the Atlantic Ocean as well as archipelagos hide delightful little places that have not yet been fully discovered by tourists. 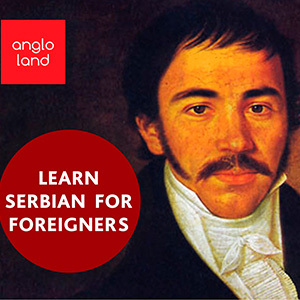 Smiles, well known Serbian hospitality and delicious food are most common impressions that this country seems to make in tourists. 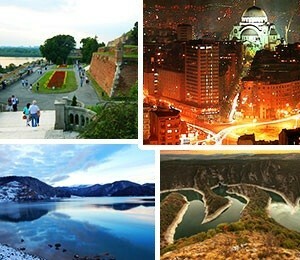 Belgrade and Novi Sad are the most visited cities in Serbia. However, Serbia is also a country of many natural wonders, beautiful mountains, lakes and rivers that are ready to be discovered by international tourists. The Czech Republic is one of those rather popular world tourist destinations. It is a country of grand historic castles and with one of the most beautiful European cities - Prague. Apart from Prague (the most visited tourist destination in the country) and numerous enchanting castles, there are also stunning little towns famous for thermal springs, such as Karlovy Vary. They attract substantial attention of tourists that get mesmerized by the beauty of these towns and the surrounding scenery. 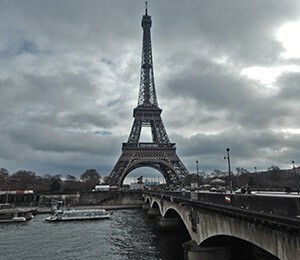 France is certainly a country which seems to defy any definite and far too easy an explanation, home to stunningly beautiful buildings and revolutionary spirit. It is a country of beauty and prestige but also a country of ordinary people. It is a country of thinkers who tend to exude aura of authority around the sheer superficial; it is enough to visit places where ordinary people get together in order to understand in how many different directions a French thought goes. It is a country of love and lovers. It is a country of aspiring artists who became known as rebels before getting their fair share of fame and glory. 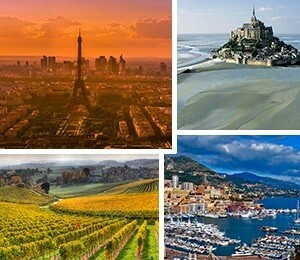 If it were to be described as a woman, France would be a mistress who overwhelms with her beauty and whose embrace not one man would ever wish to part with. Germany is a vibrant country of very well-known cities that draw an incredible number of tourist in pursuit of the wonders of sightseeing, nightlife, good food and the famous beer and certainly all manner of festivals. Most of the best-known German cities offer a chance to enjoy modern architecture, but some also show their deep seated medieval roots in stunningly beautiful buildings, universities and cathedrals. Germany is also a country of enchanted castles, so much so that at times in whichever direction one is headed apparently there is an amazing castle waiting to be discovered. Russia is the largest country in the world and at the same time one of the most stunningly beautiful ones. 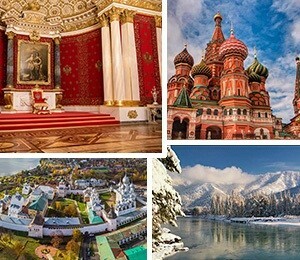 Regrettably, somewhat inadequately promoted in the media, the picture perfect beauty of Russia seems to have never been presented to a wider audience to measure up to its full potential, so prospective tourists do not seem to know what they can actually visit in Russia and what Russia holds for them in its splendour and glory. 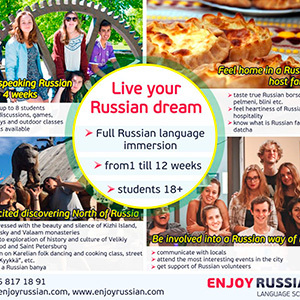 One might say without fear of contradiction that Russia really ‘has it all’. It would literally take years to get to know all wonder and beauty of this stunningly beautiful country. 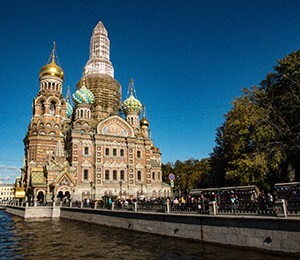 From the imperial city of St. Petersburg, the main center Moscow and the sparkingly snowy Siberia, to restless Kamchatka, Baikal and Rostov on the Don River - wherever the tourist might like to go , they will be at a loss for words in front of the never- ending grandeur. This is the country of fairytale-like cities and jaw-dropping landscapes, cultural centers, theatres and ballet, a home of Dostoyevsky, Pushkin and Yesenin, a country of warm hearted yet proud people who would often tend to say they all have only one mother and her name is Russia. 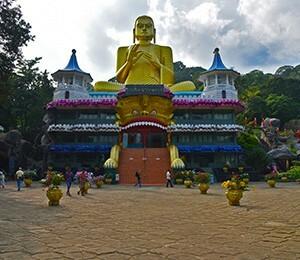 Sri Lanka, the wonder of Asia, is the most stunningly beautiful island in the Indian ocean. Because of its proximity to India and its idiosyncratic shape Sri Lanka is also called ‘the tear of India’. This wonderful island is a true heaven on earth, famous for its diverse landscape, from wild jungles to incredible beaches within just a few hours of each other. In Sri Lanka one may find numerous spice gardens, tea plantations, coconut palm groves, over 200 waterfalls, a plethora of parks and orphanages for elephants to name but a few. Here one may also enjoy a rich culture of Buddhist philosophy and explore the Ayurveda medicine. This is a true paradise island. The city of canals and alleyways, numerous islands and bridges, the city of gondolas and wondrous vistas, jaw dropping architecture, postcard - perfect palaces, the city of the carnival and the masks, in a nut shell – a city one can fall in love with quite easily. 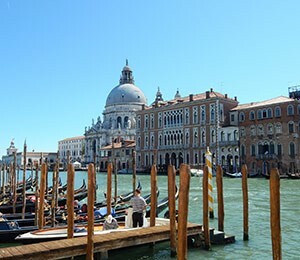 All of these words seem to describe Venice as one of the most well-known tourist destinations in the world. Venice offers loads to visitors: stunningly beautiful palaces and superb buildings that will take you on a trip through the rich history of this unique city, numerous canals to cross either on foot or by a gondola, a number of islands that still seem to stay hidden to most tourists, as well as a huge number of tourist sights and museums. As the saying goes, even the Venetians get lost in Venice. 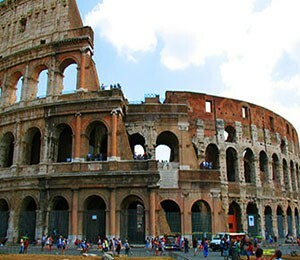 The eternal city, a city of glorious past, a city of chequered history, the cradle of Roman Catholic Church - are just some attributes that distinguish Rome from other popular tourist destinations. Tourists will be able to take a peek at the beauty and glory of once the most important city in the world and to enjoy its more modern architectural marvels, mostly built by a number of different popes in quick or slow succession. Don’t just visit Colosseum and Saint Peter’s Cathedral, Rome has so much more to offer. Madeira is a beautiful island in the Atlantic Ocean that is teeming with life, offers a display of brilliantly coloured flowers and fragrant fruits which most visitors might have never seen before, wonderful nature, splendid views, amazing hiking trails etc. it is so hard to put into words the uniqueness of Madeira Island and its nature. The volcanic nature of the island cossets away most of the island’s beaches behind its high cliffs, but instead offering spectacular viewpoints onto the ocean, lush forests that hide incredible animal and plant species as well as many hidden locations waiting to be uncovered. 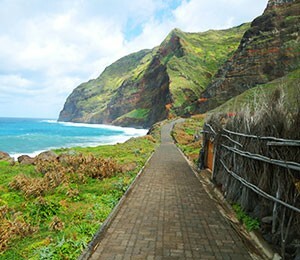 Even though the main attractions of the island are its exotic tropical nature and botanical gardens, Madeira also has well-developed cities catering for the needs of modern tourists with a lot of sights, history, shopping areas, restaurants etc. 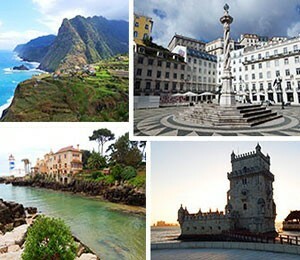 This often neglected European tourist destination has lots to offer. Its perfect location at the mouth of two large rivers has always drawn not only those in pursuit of a better life, but an incredible number of conquerors as well. 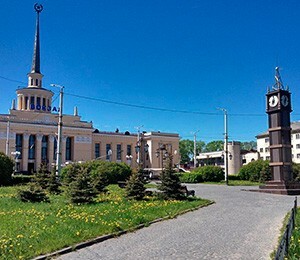 This is the city over which the highest number of battles seem to have been fought in the history of mankind and the city with the largest number of names given by all manner of invaders. Though the city has been destroyed and rebuilt over and over again, leaving the impression that there seems to be no end to this vicious circle, today Belgrade is the city of many hidden gems and apparently one of the best nightlife experiences in Europe. Zlatibor is a beautiful mountain in Serbia, often visited by domestic and foreign tourists for its enchanting nature, limpid and pristine landscape, fresh and crispy air, delicious local cuisine and generally healing properties of the mountain. 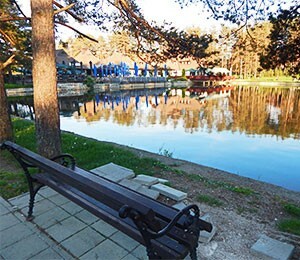 Exactly because of these features, parents tend to more often than not take children to Zlatibor. However, apart from the famed fresh air and enjoyable walks, keep in mind that there is also lot to be seen and visited while there. Ravenna is a city of history, numerous monuments that stand in silent testimony of its turbulent past as well as its fame and glory as the capital city of many an empire and kingdom. 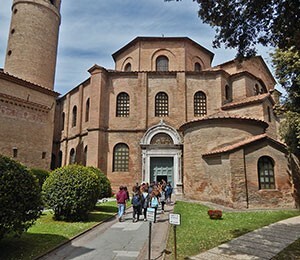 The main attractions of Ravenna are certainly its churches and mosaics that all date back to the 5th and 6th century and the early Christian societies in Europe. The scale and splendour of colorful Byzantine mosaics, their historical significance as well as monuments that date back to the Ostrogoths were even recognized by UNESCO who included eight sites in this small city on their World Heritage list. Ravenna is a city which lets its visitors to embark on a journey through history and especially through the history of Byzantine, from the civilization of which only but a faint remnant has survived throughout the world. Prague is a crown jewel of the Czech Republic, a city of towers, bridges, masterpieces of gothic architecture and of course Prague’s castle that for centuries overlooks the whole city. Many tourists become enchanted by the beauty of this city and decide to let go, to become a part of the fairytale, for which you just need a pinch of imagination. We tried to bring at least a piece of this fairytale closer to you through articles about all tourist sights, museums and other wonders of the city. Milano is a city of fashion, a city fascinated with the idea of beauty, a city of stunningly beautiful Gothic architecture, a city of compelling culture, a city of the young, city of fabulous fairs and architectural accomplishments. 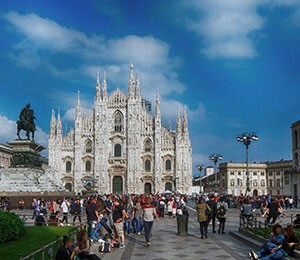 All of these attributes seem to describe Milan, which is the business capital of Italy, which oozes its charm to its visitors in a matter of seconds. To a contemporary tourist Milan offers grand, awe inspiring buildings, a multitude of museums, riveting religious buildings, its culture as a mixture of the modern trends and the tradition that goes all the way back to the Roman Empire, glitz and glamour of its shopping malls and different nightlife zones that will appeal to the tastes of all visitors. 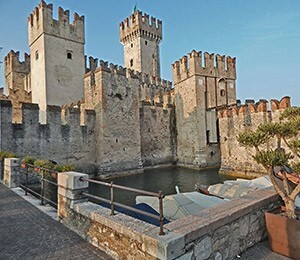 This is the page dedicated to Lake Garda on which you can find a complete tourist guide and suggestions about what to visit while planning your trip to the lake. Lake Garda is one of three great lakes in the northern Italy. Its lovely little towns on the shores of the lake draw an incredible number of tourists each year, who flock there for its mild and mellow climate, strolls on the lake shores, traditional Italian cuisine and of course to stand in awe before the heritage of this region laid bare for us to gaze at in a host of castles, wondrous villas and picturesque villages and dainty little towns. 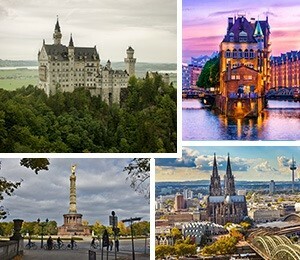 This is a complete tourist guide to Munich, Germany. We offer the up-to-date information as for what to visit and what to see in Munich. This information will help you get a bigger picture as regards to tourist attractions this city has to offer. 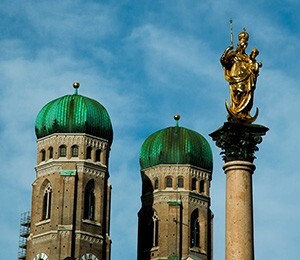 Munich is the second most visited city in German and the capital city of Bavaria. The main attractions that draw this many tourists to Munich are: Nymphenburg Palace that looks almost as lavish as Versailles palace in France, Marienplatz with its astonishing New Town Hall, one of the largest parks in the world called English Garden, Odeonsplatz where the first Nazi putsch had failed back in 1923, just to name some attractions. Sri Lanka is a special place on earth that looks like no other. Picture perfect nature, incredibly polite and smiling people, rich cultural heritage and history and a string of fascinating jungles are the main characteristics of Sri Lanka.